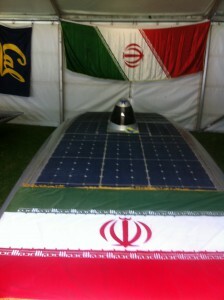 This post may had been prepared/written earlier than the day it appears, but right after the finish of the Veolia World Solar Challenge (world solar car race of twenty countries, 3021 km (1877 mi) between Darwin, Australia, to Angle Vale (official finish line) and Adelaide (ceremonial finish line), Australia, and thirty-seven solar cars) I had to fly to a location/ country where my internet access was not very convenient (it kept on being disconnected whenever I tried to write). 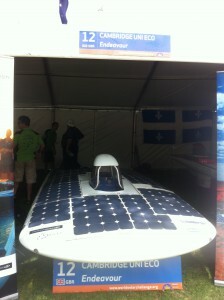 However, I was able to load up various video clips onto youtube and I hope many of you have been enjoying these videos about the Veolia World Solar Challenge of 2011. 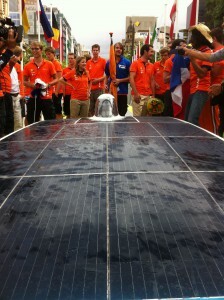 I understand one of you from Netherland is trying to gather as much information about the race as possible. 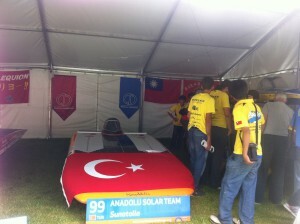 Since this is my first time covering Veolia World Solar Challenge, or WSC (and only had time and budget for the start and end of the race), I hope these photos I took and video clips I uploaded (and filmed by Mike) to youtube will help to meet part of your need. 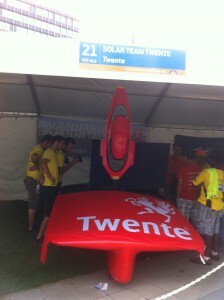 I promise you in two years (next Veolia World Solar Challenge) more detailed coverage about the scrutineering process (before the race) and events along the race will be included. 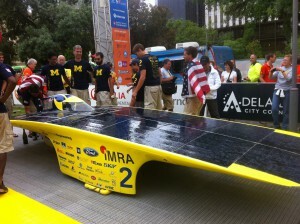 Please keep in mind that the goal and focus of this World Solar Challenge is to increase greater awareness and education for our future generations in application of solar energy in cars and to stimulate greater interest in math, science, and engineering. 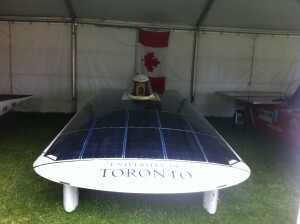 The emphasis is both in how far and how fast (rather than just how fast) these solar cars can go using energy from the sun. 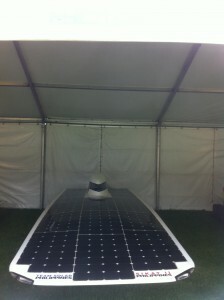 As a matter of fact, part of the rule this year had actually restricted total surface area of the solar cells to 6 sq m and of which only 3 sq m can be of GaAs (gallium arsenide) so to even the playing field. 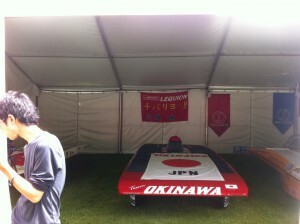 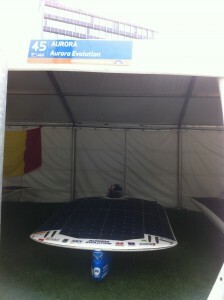 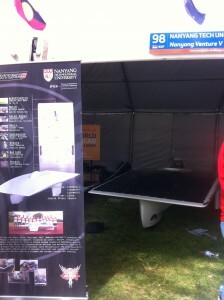 Facility is available if a solar car needs to be “trailered” when insufficient sunshine is available for the duration of the race. 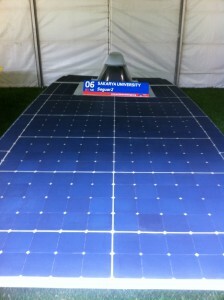 This year, due to the extra challenges of cloudiness, rain, and bush fire, only about 7 out of 37 solar cars were able to finish the course completely using solar energy. 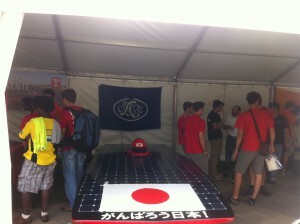 The atmosphere at WSC is friendly and encouraging rather than fiercely competitive. 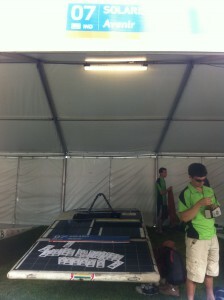 One finds this to be true either in the scrutineering process (insuring safety of drivers/pilots and those around), tracking of the timing (please refer to: http://www.worldsolarchallenge.org/files/318_2011_veolia_world_solar_challenge_provisional_results_pending_protests.pdf), or in the finish presentation (ritual dip in the Victoria Fountain by all teams (those that were not too shy or too cold) at the end of the race or not so ritual “burning rubber” of the German team). 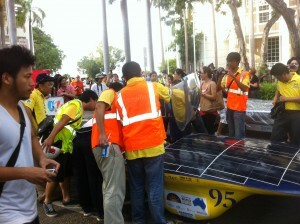 Finally, I’d like to take my hat off to Veolia World Solar Challenge 2011 team for being able to pull off a race of this magnitude (involving solar cars from twenty countries) with mostly volunteers working together to make this race work. 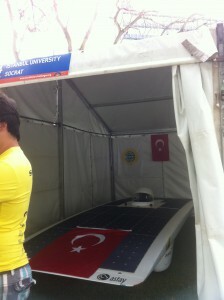 Running an organization composed of mostly volunteers is not the same as running a normal company (I’ve had experience in both and believe me, running an organization composed mostly of volunteers is not easy!). 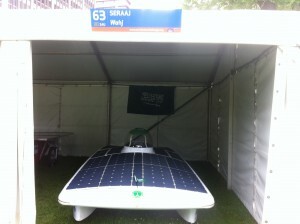 So, if any of you out there with good ideas (to help improve the solar car race), funding, or time to volunteer, perhaps you’d like to contact Mr. Chris Selwood (leader and rightful owner of Veolia World Solar Challenge) and/or the organization at http://www.worldsolarchallenge.org/contact_us For the ease and convenience of our readers’ pleasures, there are written descriptions for these solar cars with each of the youtube video clip of the interviews for its team members. 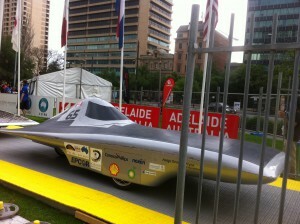 So please be sure to read (click on “Show more” at each youtube clip) about the descriptions for these solar cars. 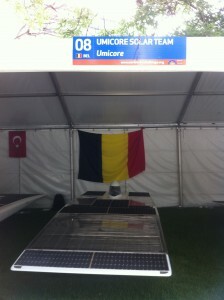 I tried to take photograph and to interview as many of the participating solar cars of Veolia World Solar Challenge 2011 as possible, but due to time constraint, please forgive me if I missed any one. 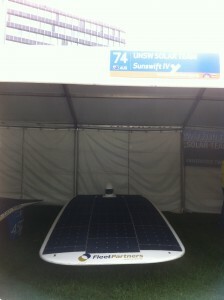 With regard to all the video interviews at youtube, if any of the interviewees’ names is either misspelled or not mentioned, please feel free to contact me at sunisthefuture@gmail.com so I can make the necessary modification. 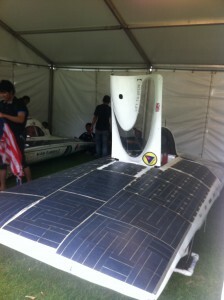 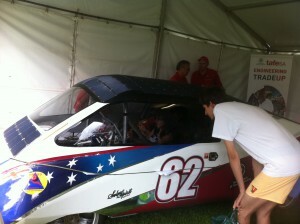 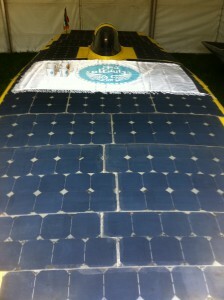 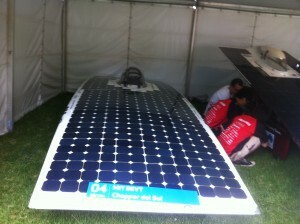 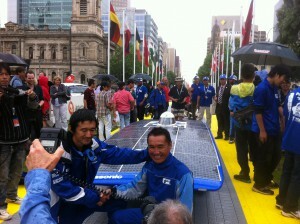 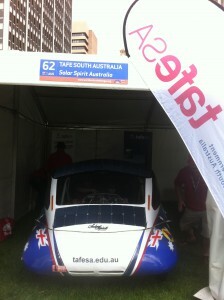 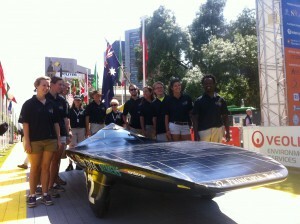 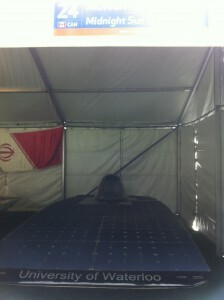 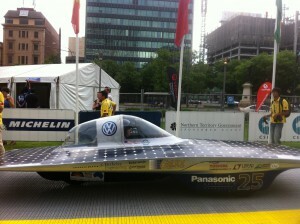 Below, you will find links to our youtube clips/interviews with various teams and photographs of these solar cars. 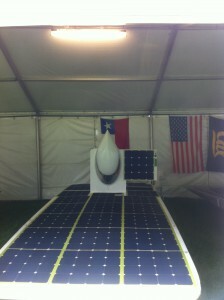 Keep in mind that these videos and photos pertaining to Veolia World Solar Challenge 2011 are under Creative Commons as long as you would attribute it/them to Sun Is The Future at http://sunisthefuture.net There will be more posts on human interest stories and lessons learned regarding Veolia World Solar Challenge 2011 later. 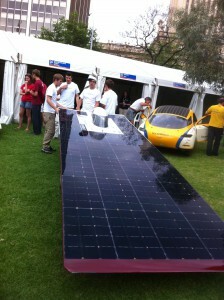 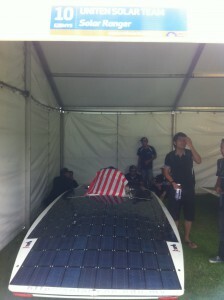 More on human interest stories and lessons learned from Veolia World Solar Challenge 2011 will be coming in posts following. 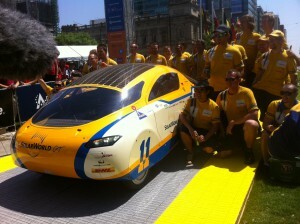 More stories on human interests and lessons learned from Veolia World Solar Challenge 2011 will appear in following posts.